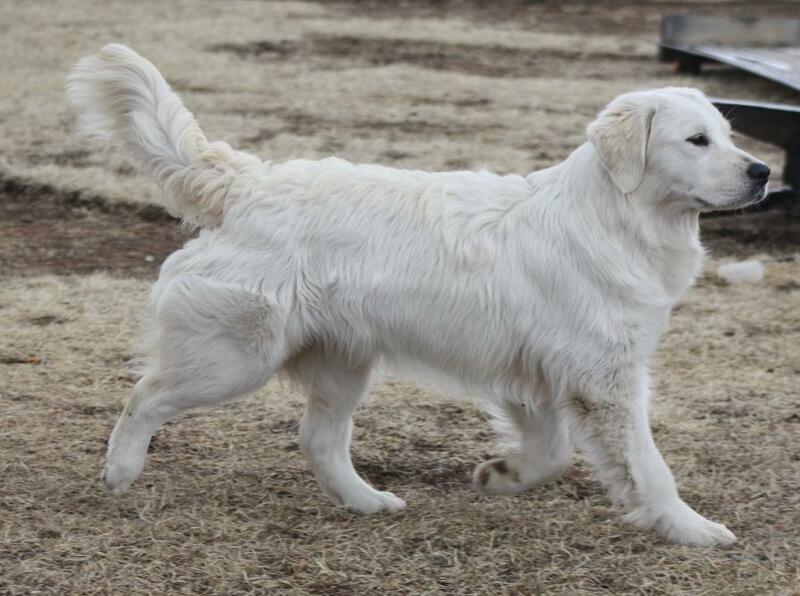 Tyra is a beautiful girl whom I co-own with her breeder Shannon Flynn of Coppermoon Goldens. Tyra is a bit shy but quickly warms up to people and then her real personality comes to light! She loves the company of other dogs and people either way.. she is happy. She likes to go out and run with the quad or swim in the back pond. She adores our children and enjoys spending some time with them each day! She is the dog who goes out and comes in as dirty as possible but once she dries you would never know she was as dirty as she was! May 30th 2014 --> Tyra picked up her first leg in Rally novice!! She was entered the next day but we were busy with a Golden Specialty so she did not make it into the ring. She will be back out the next show we attend with Rally to hopefully finish her title!! May 30th 2014 --> Tyra picked up her CGN title! She was such a good girl!! Tyra with her first litter. She is a great mom. Tyra REALLY enjoys getting dirty!! !